On Thursday, children from Year 5 attended a very special ceremony at the Royal Cornwall Museum in Truro. They sang a song, composed by children from the school, called ‘Walk your way through Cornwall’. 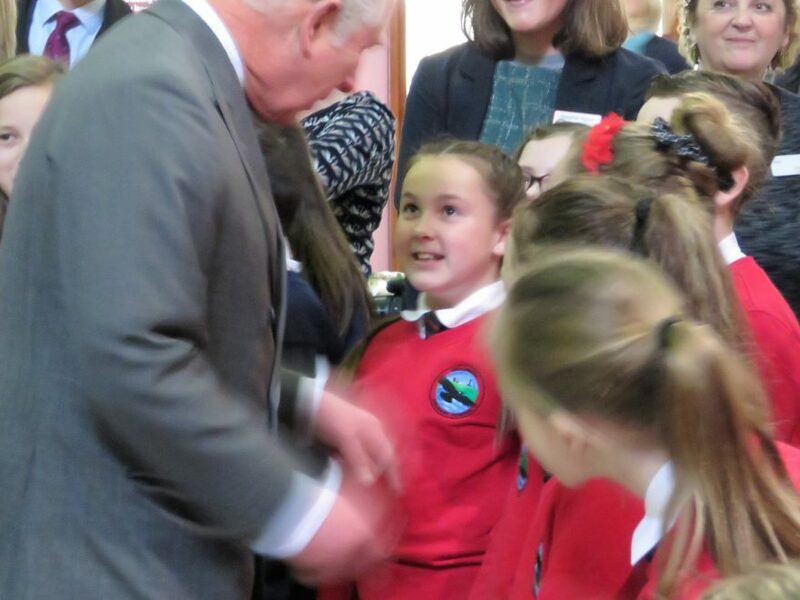 The children welcomed HRH Prince Charles into the museum, which was celebrating its two hundredth year anniversary. It was a joyous occasion, celebrating our Cornish heritage, which will stay in the minds of the children forever. Our Prince shook many of the children’s hands and spoke to them about their favourite books and our song. He was delighted with their singing. The children were impeccably behaved and really did do Treloweth School proud! Next Post:Good luck to all children in Years 2 and 6!